The Mediterranean setting was beautiful and evocative, and I enjoyed the way scenes hopped between ports as the yacht visited them. I was also very much caught up in the complex push and pull of Celeste and Lane's relationship. There's an event near the end that I found pretty sudden (I'm trying to be vague to avoid spoilers), and it pulled me out of the story a little. I was looking forward to finding out how Celeste and Lane were going to navigate the the challenges they were facing with each other, and that event kind of gave them an easy way out. 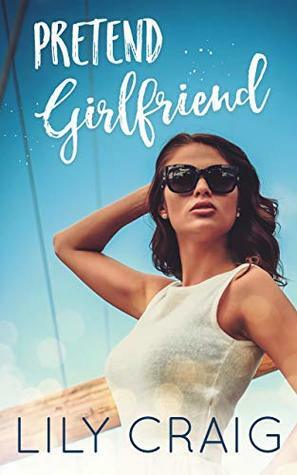 Sign into Goodreads to see if any of your friends have read Pretend Girlfriend.